Dr. Energy Saver by Green Machine is your local expert for improving home energy performance. Our insulation and weatherization services will save you money on your utilities while increasing your comfort and even air quality at home. Whether you're looking to install new products or upgrade an existing structure, Dr. Energy Saver by Green Machine will provide you with energy-efficient solutions. We have the right insulation for wherever it is needed in your home. From blown-in cellulose in the attic to rigid foam installation in the basement. We prioritize the work to ensure you receive the greatest increase in home comfort for the lowest. We proudly serve homeowners and businesses in Bel Air, Parkville, Towson and all surrounding areas. Give us a call today at 1-410-457-3337 for a free home energy audit. "Awesome installation crew, friendly, professional." "Very friendly and knowagable about what they were offering..."
Dr. Energy Saver by Green Machine is a member of the Dr. Energy Saver national network of home energy & insulation contractors. Dr. Energy Saver has helped tens of thousands of homeowners with energy-efficiency and home comfort. The network consists of contractors across the U.S. working promoting green solutions to home energy problems. We at Dr. Energy Saver by Green Machine receive continuous, advanced training to make sure that are services and industry knowledge are up-to-date. If you are dealing with cold floors, drafty rooms, uneven house temperatures, high energy bills... we are your answer. To improve your home's performance and put savings back into your wallet, let our energy specialists inspect your home and offer proven solutions. We service all Greater Baltimore including Parkville, Bel Air, Towson. Ready to get started on home energy efficiency? Call us at 1-410-457-3337 to schedule a home energy audit and free estimate! Effective Air Barrier , Abingdon Md. Dr. Energy Saver by Green Machine is known for the high-quality materials we use and our exceptional workmanship. The products we install in your home are tested and approved by the Dr. Energy Saver national network of energy contractors. By only using high-quality insulation products we provide the greatest home insulation bang for your buck. 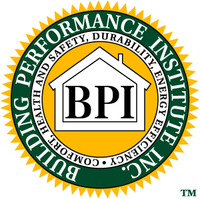 Our home insulation technicians receive advanced training before they work on your home. You can rest assured that your home is properly insulated by the right materials. Along with using high-quality materials and exceptional workmanship, we pride ourselves on our customer service. We are a family owned company and we enjoy taking the time to get things right for you. Our staff is available for home energy audits and estimates 7 days a week. We fix overworking HVACs, drafty or too-hot rooms, cold floors and expensive energy bills. We work with homeowners in Towson, Bel Air, Parkville and nearby.